The only one who can protect the ancient dynasty is... your child. He might not realize that he's the last descendant in a long line or warriors (maybe you didn't either...) but he's not going to be able to take part in the battle without the right look. This costume provides a signature battlefield look and the muscled effect that will intimidate his opponents. And if he's not quite ready for a showdown, you can just take him trick or treating. We're sure he'll enjoy protecting his friends while you traverse the neighborhood for treats! 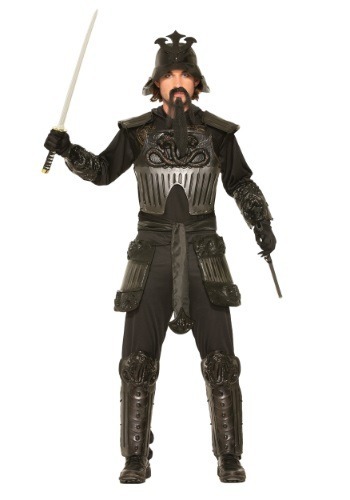 Your child can go back to Feudal Japan and become a great warrior when he wears this Kids Dragon Samurai Costume! Step out of the ninja's secretive shadows and follow the honorable Way of the Warrior. 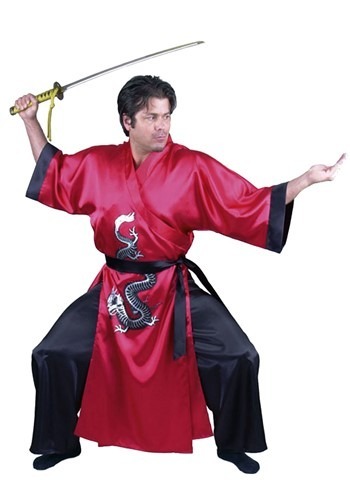 When you wear this dragon warrior robe, you're sure to impress your Daimyo! While armored knights were fulfilling quests in medieval Europe, Samurai were doing the same thing in Japan. 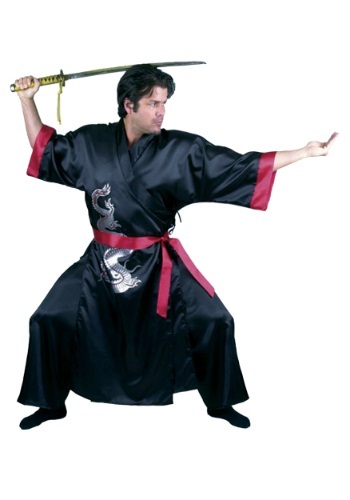 Join that ancient and honorable tradition in this Red Samurai Adult Costume! Just make sure you behave as befits a Samurai. You wouldn't want to have to commit seppuku. 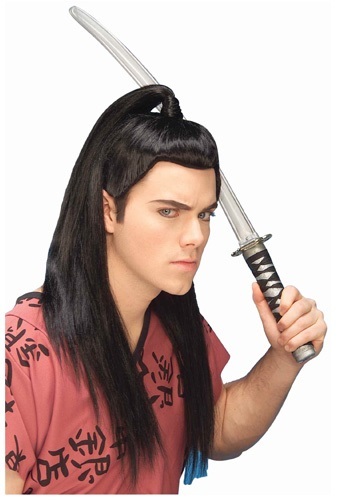 You'll never be a fearsome warrior without a head full of lush black hair. 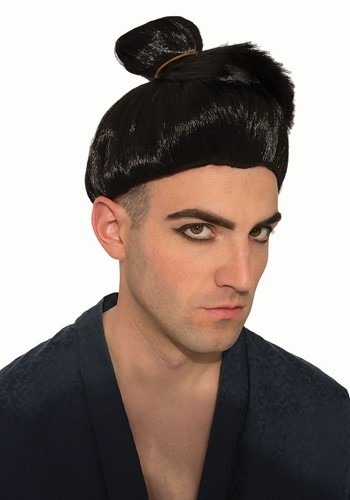 Slip on this Sumo Wrestler Wig and watch your enemies tremble in fear. Wait, do sumo wrestlers have enemies?